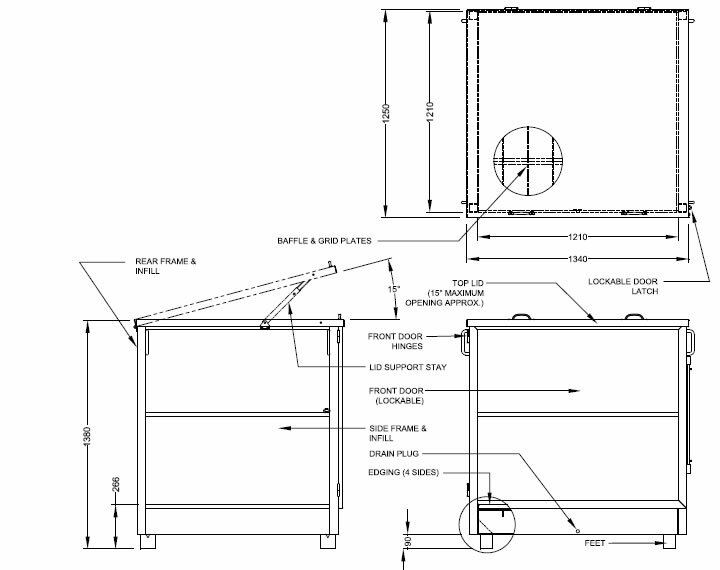 Similar to the type NS-SL4-CDL Spill Bin, the SL4/CDL Spill Bin is fully enclosed with a Lid being added to the unit offering total protection from the elements. The Lid is fitted with locking struts, allowing access to ancillary equipment such as pumps, valves etc. This Spill Bin also comes with the option of Air Vents if required. 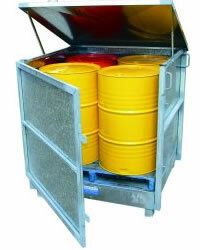 The SL4/CDL is designed to store 4 x 205 litre drums.